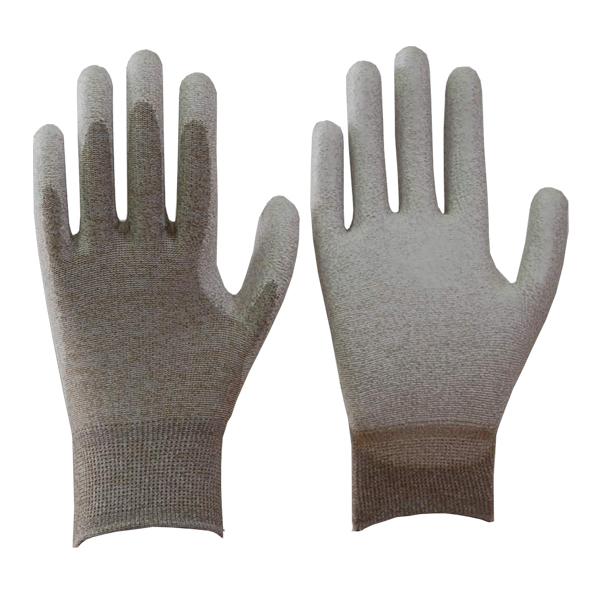 Composition: Textured Nylon 81% - Copper yarn 19% and finger tip P/U coat. 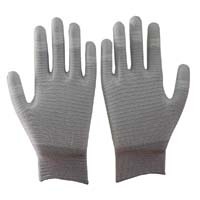 Excellent for handling/assembling small parts and having a good dexterity & grip with the PU dipped on the fingertips areas only. 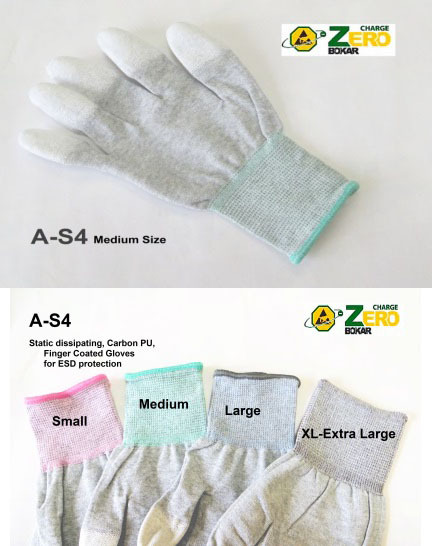 Protecting scratch & contaminations with PU dipped on the fingertips area. 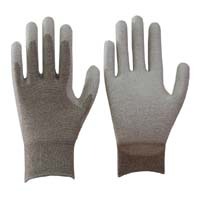 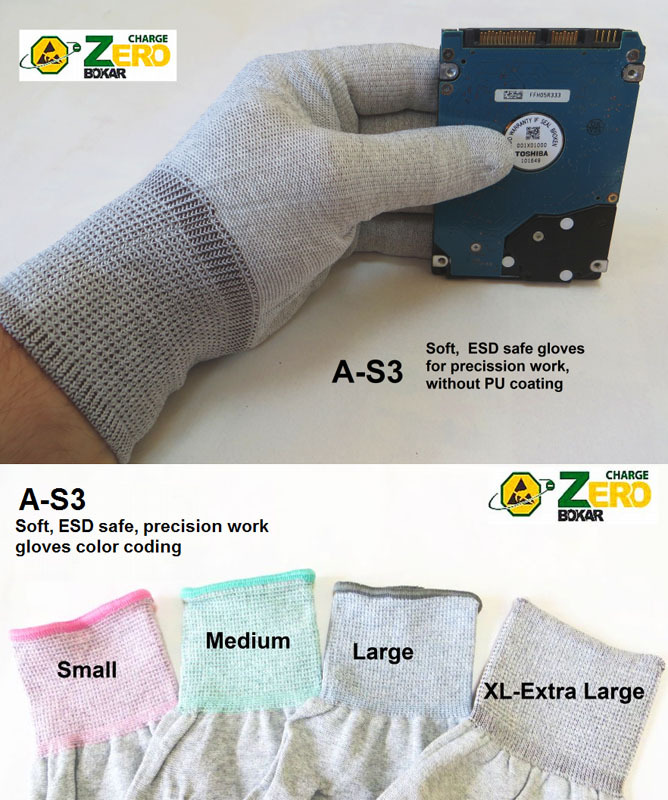 Electronics, Telecommunications, Precision equipments and etc..
Providing an excellent grip and fitting with PU dipped on the palm and fingertips area. 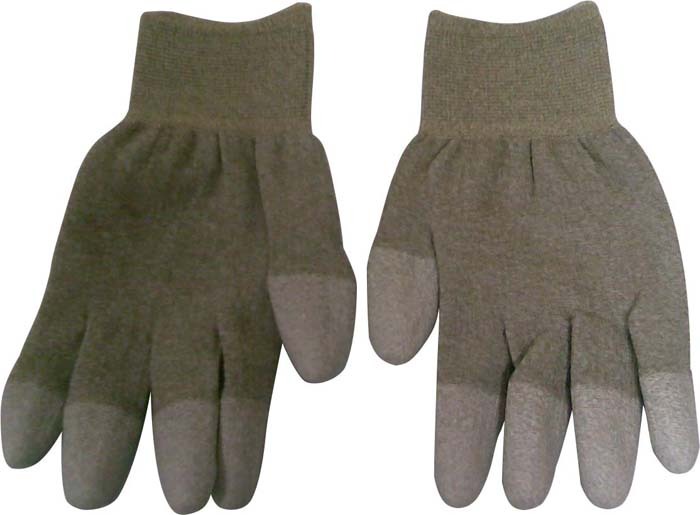 Static dissipate new continuous filament conductive fiber. 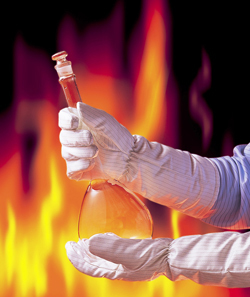 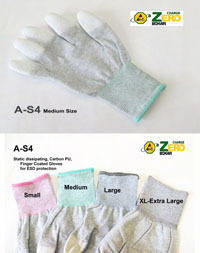 Suitable for clean room application. 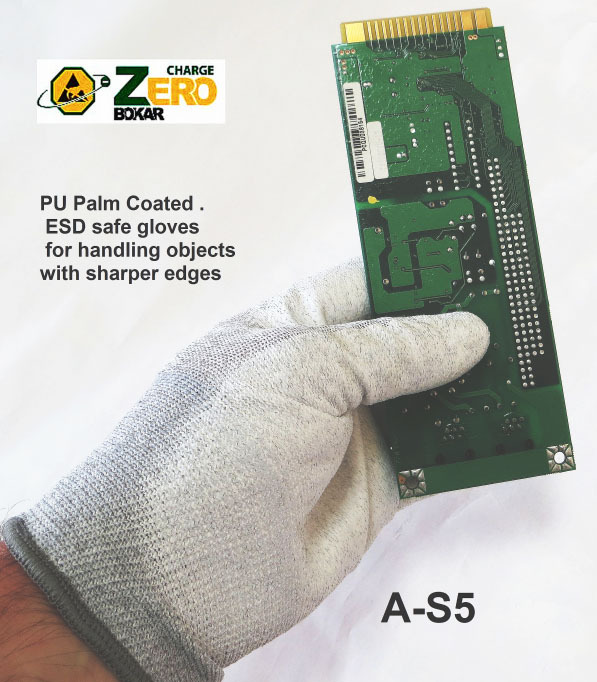 Ideal for micro-electronics assembly and packaging. 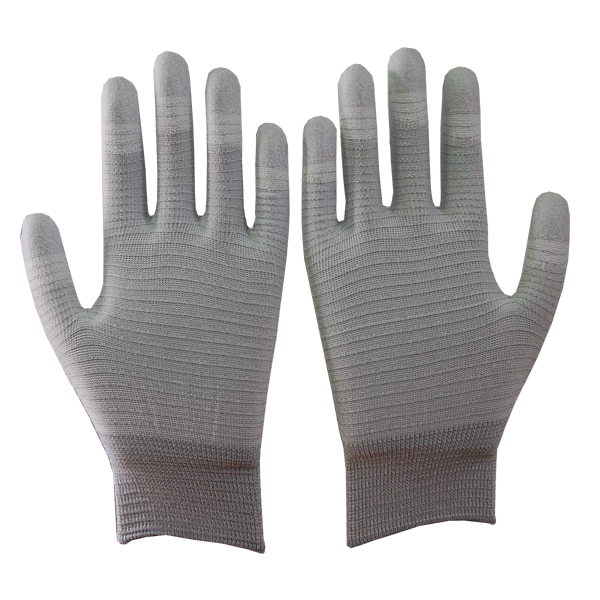 These gloves have an improved grip and elastic, non-slip, non-bright processed fabric. 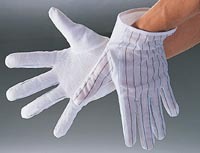 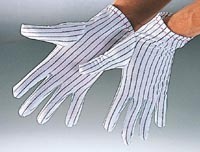 These gloves features a non-slip, coated surface, elastic non-bright processed fabric, pelicate round-tip finishing. Ideal for micro-electronic and assembly application.